The DSG ​DERAY® WorkMan TP Process controlled heat shrink appliance is designed for general purpose shrink appliances at a workbench. It is equipped with separate temperature and time settings. Special versions for specific customers demands are also available. The DERAY®-WorkMan is an automatic shrink appliance designed for insulation and sealing applications in wiring systems using heat shrinkable components. 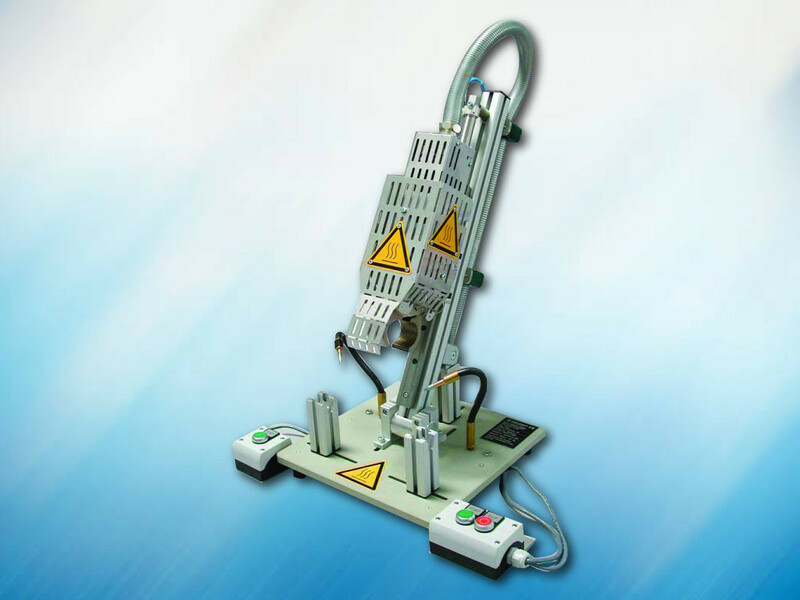 This universal appliance can be used for both pre-assembly and cable harness series production purposes. The DERAY®-WorkMan is designed as a desk-top appliance, consisting of a shrunk unit and a control unit. First, the shrink object has to be fixed in the holding device. Then the appliance is to be switched on using two hands for reasons of safety. 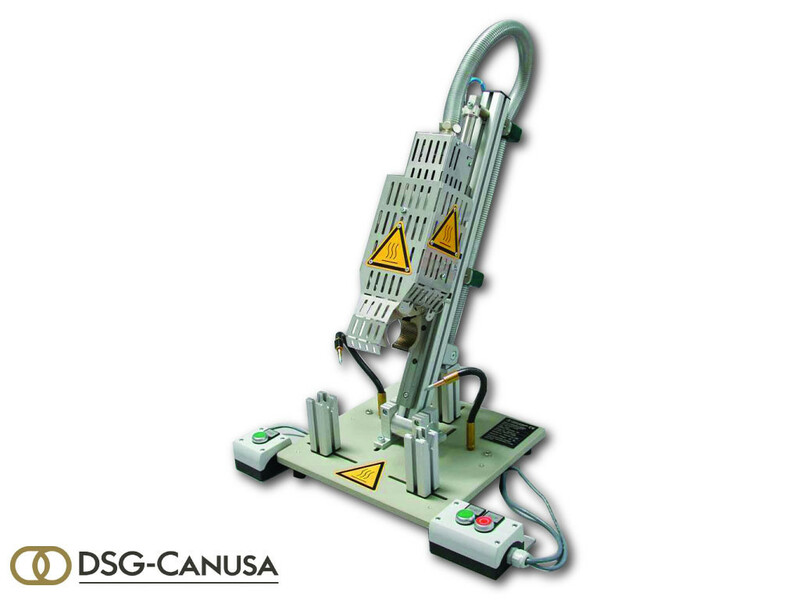 The mobile shrink unit then automatically moves to the preselected operating position and the shrink process starts. By means of a switch, the user can choose between continuous operation (with preheating) or single operation (without preheating). Positioning of the mobile shrink unit is effected by means of a stopper which can be shifted and arrested in a vertical guiding device. 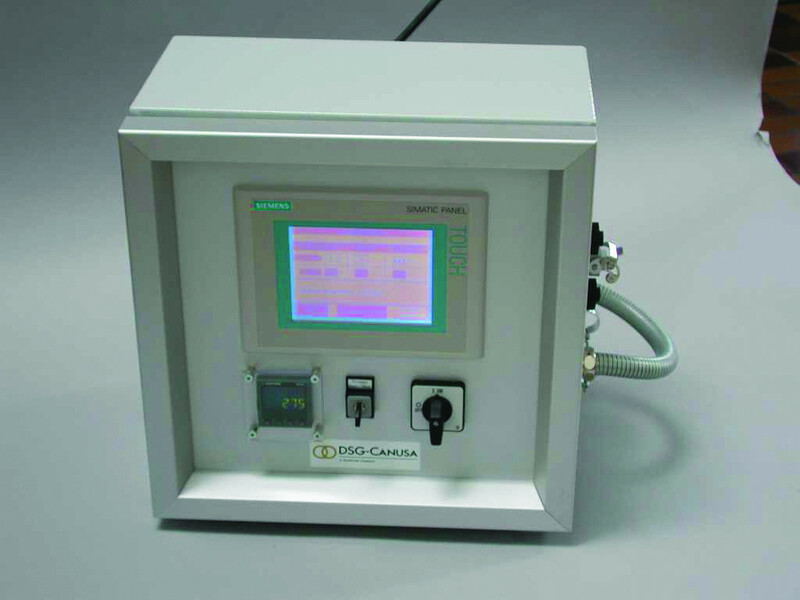 The preselected shrink temperature is controlled automatically. Opening and closing of the shrink chamber takes place pneumatically. If so desired, the user can set an after cooling time. On completion of shrinking, the mobile shrink unit returns to its ready position.